She was the fifth of eight children born to the late John Thomas and Annie Saunders Forrest. She was a homemaker and traveled with her military family. 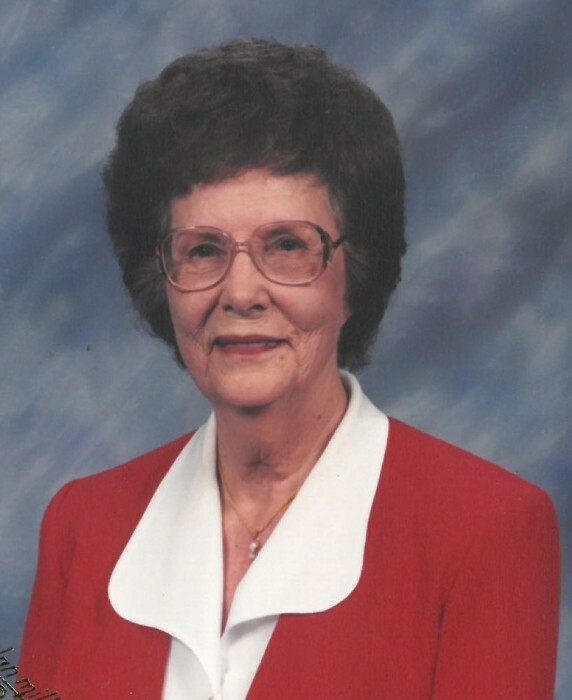 As a lifelong member of Emmaus Baptist Church, she served as a deaconess, taught Sunday School and Vacation Bible School, was a member of the Women’s Missionary Union, Cradle Roll, Joyful Heart’s Choir, member of the Louise Quick Willing Workers Sunday School class, and worked for many years at a weekly worship ministry at Bayside Convalescent Home. She loved and enjoyed her family, nieces and nephews, church family, many friends and serving the Lord. Mrs. Hunt was preceded in rest by her husband Buford Hunt and daughter Deanna Hunt; five brothers, Vernon Forrest, Otis Forrest, Magruder Forrest, Benjamin Forrest, and Donald Forrest, Sr. and two sisters, Fannie Forrest Rollins and Edith Forrest Steele. She is survived by her son, Dwight Hunt (Cathy), by her daughter Susan Shifflett (David). Four grandchildren, Kimberly Hoback (Mark); Heather Hogge (Daniel), Graham Hunt (fiancé Heather Arms), and Todd Hunt (Cherisse). Five great-grandchildren, Adam, Owen, and Isla Hogge, and Eden and Aaron Hoback; and numerous nieces, nephews and cousins. The family would like to thank all her devoted caregivers over the years and her present caregivers Rhonda, Sue, Sharon, and Debbie for their loving care of our mother during the last years of her life. A visitation will be held Thursday, January 17, 1:00 - 2:00 PM at Claytor Rollins Funeral Home, Poquoson, followed by a celebration of her life led by Pastor Scott Wade of Emmaus Baptist Church. Burial will follow at Parklawn Memorial Park, Hampton. Memorial contributions may be made to Emmaus Baptist Church Renovation Fund, 814 Yorktown Road, Poquoson, VA. 23662 or to the Poquoson Volunteer Rescue Squad, P.O. Box 2099, Poquoson, VA. 23662.